Zinc it Over, Sunscreen Facial Mist. This is one of my favorite finds of 2018. It is designed to use over makeup, so it’s easy to reapply as often as needed. It will also help set your makeup. I use the Citrus Passion, which is a natural fragrance oil blend of Lemon Sugar and Passion Fruit. It is super sheer, hydrating, and suitable for all skin types. It’s Reef Safe and NO has no white residue. This Non-Nano zinc oxide provides Broad Spectrumm spf 25. Zinc it Over is cruelty free, vegan, non aerosol, fast absorbing, chemical free and refreshing. 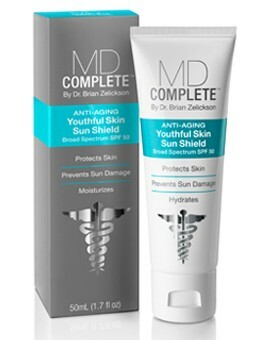 So defend your skin with Zinc it Over, never forget protection…..
a double dose of treatment, when you use MD Complete by Dr. Brian Zelickson. I am using their Anti-Aging Youthful Skin Sun Shield- broad spectrum spf 50. It hydrates while it protects from uva and uvb rays. It is very lightweight on your skin, but it is made to absorb quickly, even when used with rich moisturizers. It leaves a matte finish and has zero smell.It uses vitamin c to guard against free radical damage, brighten, and tone. Essential Fatty acids strengthen skin’s barrier and hydrate to fight fine lines and wrinkles.So keep your skin looking young , while protecting it with MD Complete. So rub this stuff everywhere,don’t ignore your double d’s…. I’m talking about your skin. Don’t leave it vulnerable to UV, and environmental, oxygen radicals. 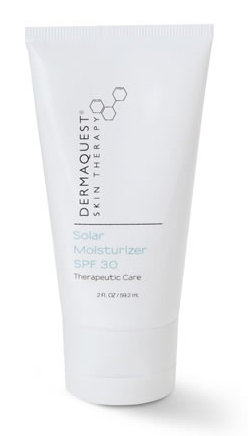 Protect it with Dermaquest Solar Moisturizer spf 30. This broad spectrum scunscreen uses plant extracts, peptides, and antioxidants to firm, plump, restore, and fight free radicals. It has hyaluronic acid (to moisturize), Hydroquinone (to brighten,) plant stem cells, vitamin c, aha/bha, benzoyl peroxide, minerals, argan oil, and enzymes, all to protect and treat your beautiful face. So get with Dermaquest…..and feel free to stay out of the shade…. with Miracle Skin Transformer Lip Rewind. 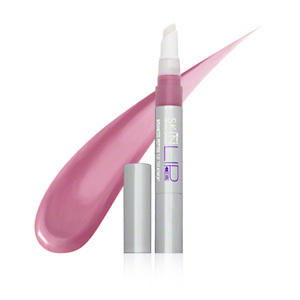 This product hydrates, plumps, smoothes, softens, and beautifies your lips instantly. This tinted, peptide-infused lip treatment is designed to repair daily damage, boost volume and moisture content, and protect from sun damage. White rose moss and powerful peptides inject your lips with hyaluronic acid, and collagen to help eliminate the appearance of lip lines. Antioxidant-rich butters condition and soothe for major moisture. Miracle Skin uses broad-spectrum sun protection to help prevent premature aging. The gloss feels super silky. I’m obsessed with the color called Love. And best of all $5.00 from the sale of each Lip Rewind in the limited edition shade LOVE will be donated to the Childrens Action Network. So get some Love and give some Lip..
DON’T JUST DO IT ONE WAY…. Protect your skin from the sun, while you treat, hydrate, prime, and cover. 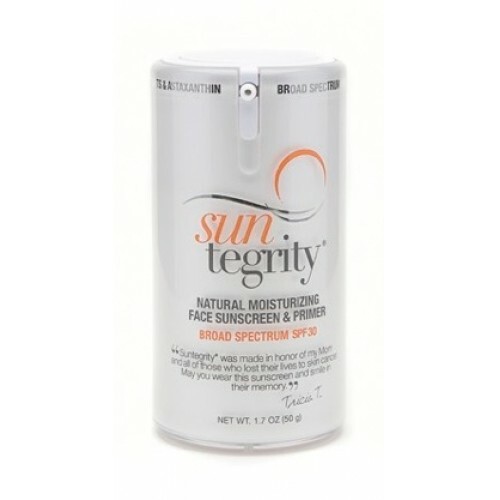 It’s easy with Suntegrity’s 5 in 1 natural moisturizing Face Sunscreen Broad Spectrum spf 30. This BB cream is supercharged with antioxidants, red algae, aloe vera, jojoba, sunflower, pomegranate, cucumber and green tea. It provides anti inflammatory properties that help with rosacea, acne, and melasma. I also love their Natural Moisturizing Face Sunscreen and Primer Broad Spectrum spf 30. This non greasy sunscreen is colorless, so it is perfect for under your makeup. All Suntegrity products are vegan, chemical free, paraben free, phalate and mineral oil free, and organic. 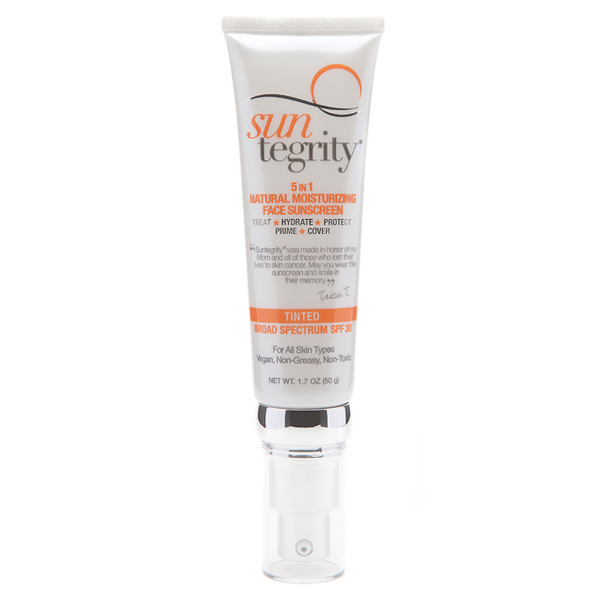 If you care about your skin you will use Suntegrity, and share it with someone you love….